Sell your pinball machine for the most cash at We Buy Pinball. Working or Not. - We buy pinball machines. Sell your coin-op video arcade game for cash. Sell your pinball machine for the most cash at We Buy Pinball. Working or Not. 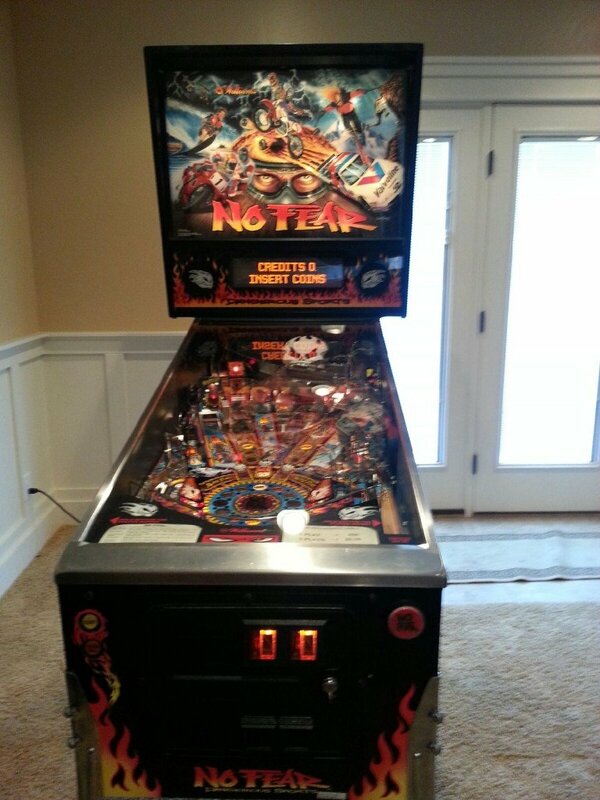 No Fear Pinball machine submitted to WeBuyPinball.com for sale. We have cornered the market for the best place to sell your used pinball machine in the United States! Simply submit your pinball machine for FREE using the form to the right. We are looking to buy pinball machines in any condition. Fully working to completely dead, your pinball machine has value! Once your game has been submitted, the game’s information is then passed along to the hundreds of members in our group! We target local buyers so there is NO shipping and cash is exchanged. We are large group of collectors, not a business. Please remember that our collectors but games in just about any condition, however, condition is quite often a direct correlation to final price tag. How much is my pinball machine worth? 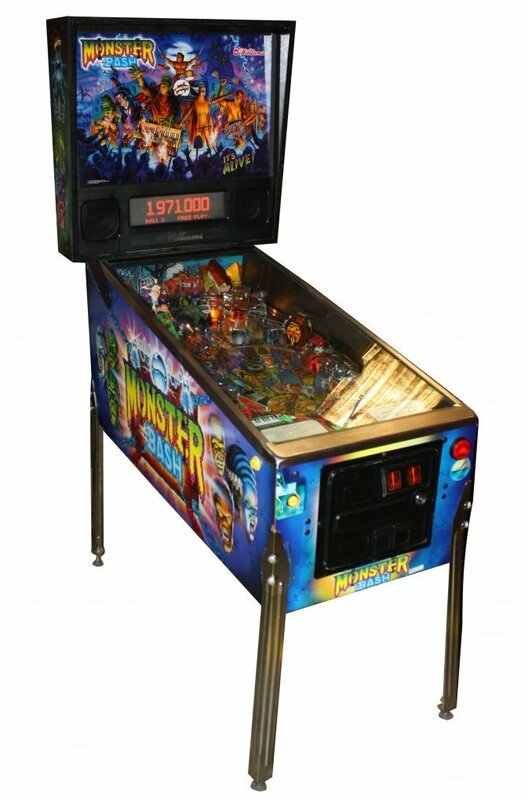 Image of the Williams/Bally Monster Bash pinball machine submitted to WeBuyPinball.com for sale to our members. It went for thousands of dollars more than what the owner ever expected! We suggest people read “What is My pinball machine worth?” at North Carolina Amusements. It gives you an idea of what all goes into fixing a pinball machine. Plus some of the higher level games that are truly collectable verses older Electromechanical games. Plus also the differences between the two as well. There are lots of collectable games out there. Feel free to call us to discuss. We also have the 2014 Mr. Pinball Price guide so we can give you an estimated price of what your game is worth.